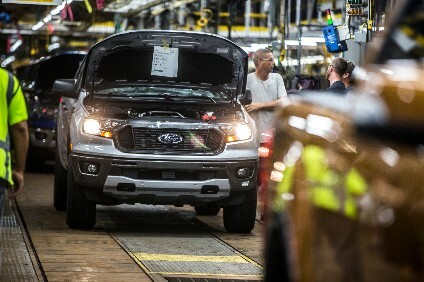 Toyota Canada made ground on North American car makers in October, showing a 9% increase in car and truck sales, while sales at the Canadian units of General Motors, Ford and DaimlerChrysler all declined, Reuters reported. According to the news agency, Toyota Canada said that combined sales of cars and light trucks rose to 14,065, up 9% from last October. The Toronto-based company sold 9,903 cars last month, up 15.8 % from the year before, while truck sales, which include sport utility vehicles and minivans, were 4,162, the report added. Reuters said General Motors of Canada's combined sales of cars and light trucks fell 18% in October to 30,806 from 37,531 for the same month a year earlier. GM sold 14,872 cars last month, down 22.2% from 19,104, while truck sales were down 13.5% at 15,934 from 18,427, the report said. According to Reuters, DaimlerChrysler Canada said total October sales fell 8.3% to 16,684 from 18,204 - the company sold 3,729 cars, down 16.2% from 4,448, while truck sales fell 5.8% to 12,955 from 13,756. 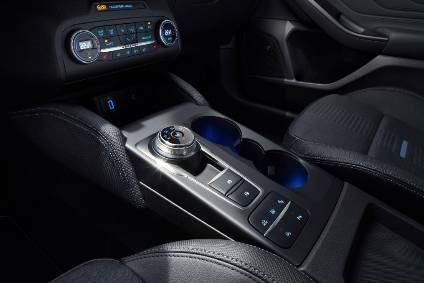 Ford of Canada combined October sales fell 14.4% to 15,801 from 18,458 - the company sold 11,562 trucks, down 8.4% from 12,627, while car sales were 4,239, down 27.3% from 5,831, Reuters said.